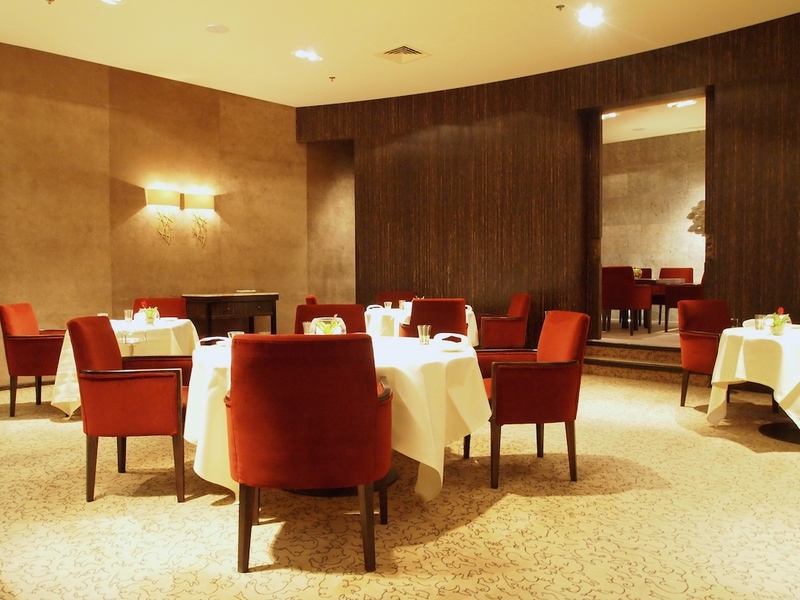 Sea Grill is a two Michelin starred restaurant situated on the ground floor of the Radisson Blu hotel in Brussels. Chef and owner of the restaurant is Yves Mattagne (b. 1963), who has been at the helm of the kitchen since 1990. Mattagne received his training at the Hilton Hotel in Brussels and later on in Gatwick, at the Michelin starred l'Orangeraie in Zaventem (now defunct) and he did an 8-month stage with famous French seafood chef Jacques le Divellec at his eponymous restaurant Le Divellec in Paris (closed 2013). 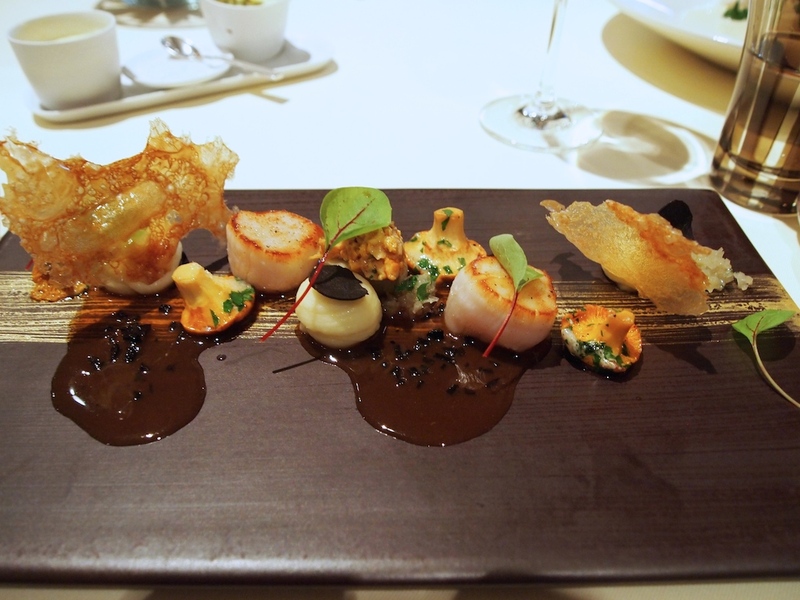 Sea Grill was awarded its first Michelin star in 1991; the second star followed in 1997 and has been retained since. 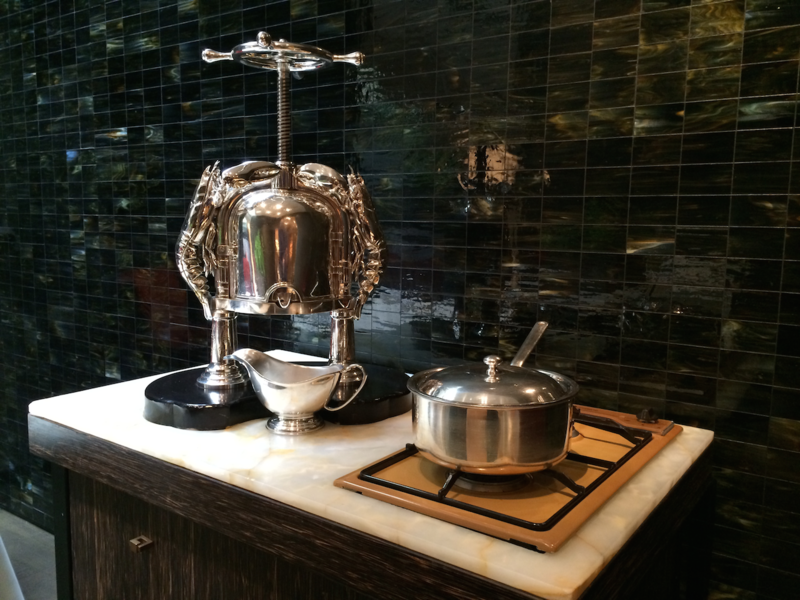 Sea Grill is also famous for being the proud owner of a custom-made, silver Christofle lobster press, one of only 5 in existence (the others are at the Mus�e Bouilhet-Christofle in Paris, Fischer's Fritz in Berlin, Otto's in London and Le Pressoir d'Argent in Bordeaux). As the name Sea Grill already suggests, the restaurant's main focus is seafood and the current a la carte menu features only one meat option. Furthermore there are two fish tasting menus: there's the 'Menu Tradition & Qualit� (4 courses for �120) and the 'Menu Incontourable' (7 courses for �185). At lunch the restaurant also offers a 3-course set lunch menu called 'Menu Mar�e du Jour' for �65. The restaurant is open for lunch and dinner from Monday till Friday. I had lunch with my husband at Sea Grill on Friday 22 August 2014. My husband ordered the lunch menu and I ordered dishes from the a la carte menu. Lunch started with three amuse bouches. 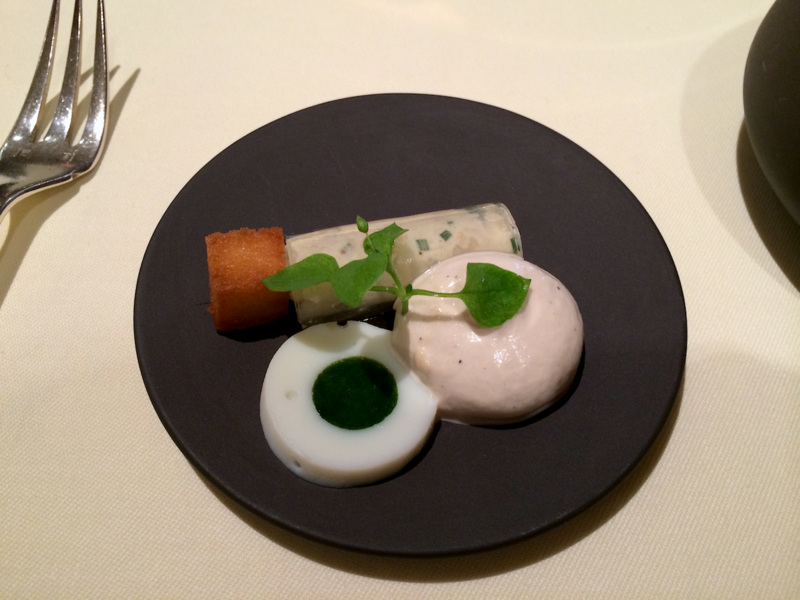 First up was courgette 'royale' with a tomato cream and a shrimp; this was followed by a transparent king crab cannelloni served with a sesame espuma, a slice of egg white with a parley and watercress 'yolk' and a golden brown crouton; served last was a cod beignet with chorizo, a red pepper cream, onions and pine nuts. 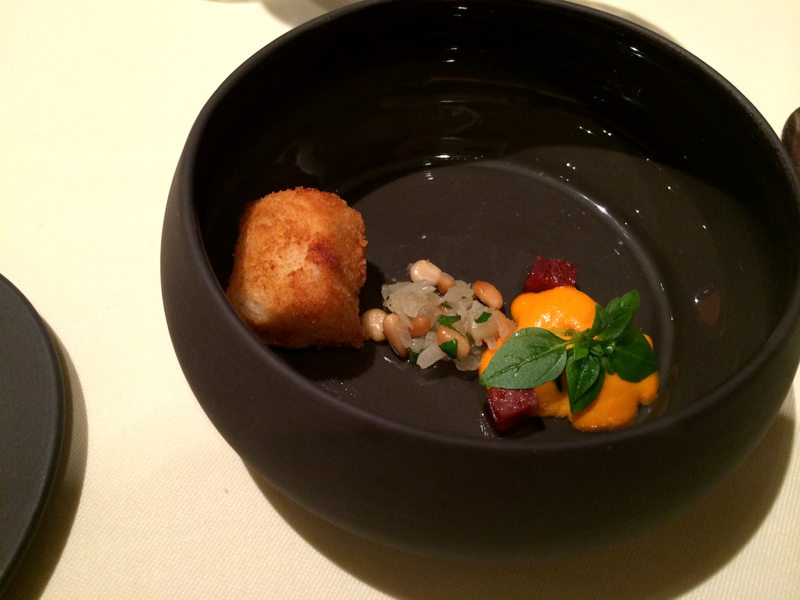 Three lovely and well-executed amuse bouches. Shortly after, my starter arrived. Perfectly cooked, tender scallops (from Jersey), which had a nice springy texture, and were served with a few dollops of smooth potato puree (made from Ratte potatoes), scallop crisps, finely chopped buttered shallots, some pan-fried girolle mushrooms, a girolle mushroom duxelle and finally a delicious well-reduced jus, elegantly flavoured with truffle and summer savory. Bone marrow was served on the side. At the bottom of the marrow bone was some wilted spinach, generously topped with pieces of grilled bone marrow. A fantastic dish; all the individual ingredients were great on their own, but it also delivered a wonderfully harmonious combination of earthy and nutty flavours, and the mushrooms enhanced the sweetness of the scallops beautifully. 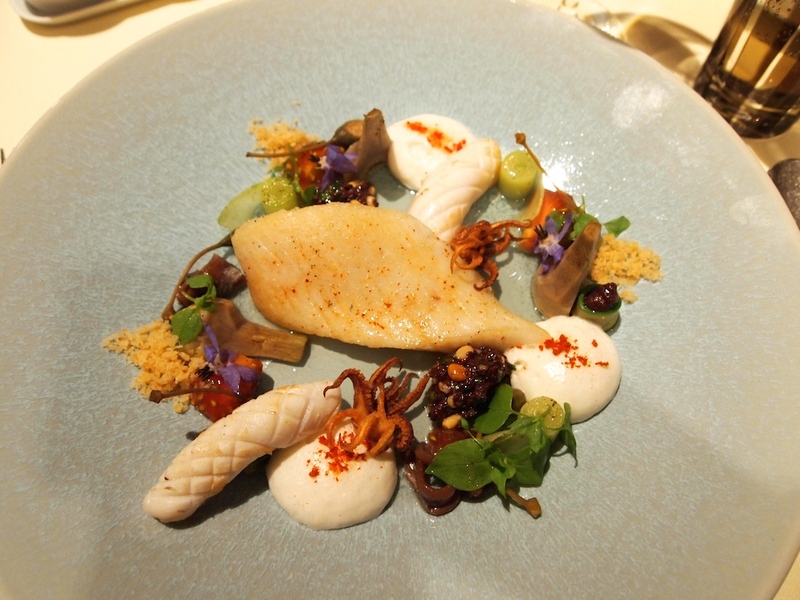 Main course was an elegantly presented dish of well-cooked John Dory, accompanied by two pieces of scored squid, some crisp baby squid, and a myriad of other mediterranean flavours and textures. There was a light and creamy burrata espuma, some caper berries, a tomato jelly, a few pieces of tender artichoke, lightly marinated cucumber rolls, salty anchovies, garlicky breadcrumbs, two spoonfuls of Taggiasche olive, parsley and pine nut tapenade and a mildly creamy gazpacho sauce. The scored squid was wonderfully tender and moist, its flavour was nice and pure, not diluted by overpowering seasoning or lemon juice (as is often the case with squid). A delightful dish with a great interplay of salty, bitter, sour and sweet flavours, and both the tomato jelly and the burrata espuma brought a lovely freshness to the dish. Pre-dessert was a delicious and refreshing red fruit 'soup', served with a peach espuma and some summer savory granita (no photograph). Even better was the dessert proper. Strawberry granita delicately flavoured with mint, complemented by some fresh Gariguette strawberries, pineberries, a delicate hisbiscus flower bouillon and some white chocolate and dried strawberry 'biscuits'. Also on the plate was a strip of crisp pastry covered with fresh wild strawberries, mini meringues, strawberry cream and strawberry puree. 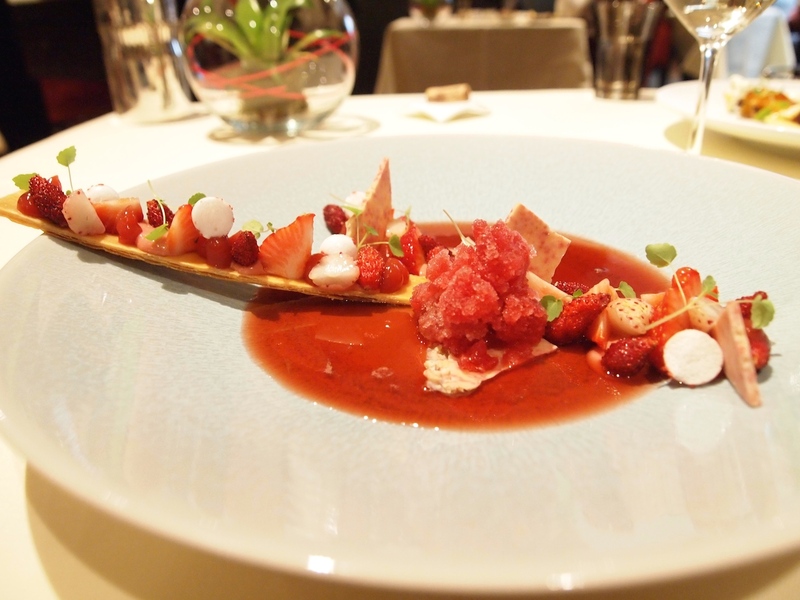 An exquisite dessert with a great variety of strawberry flavours, which also created a fantastic textural contrast. With its proud track record of two Michelin stars held for 17 years now, Sea Grill is one of the great constants on the Brussels fine dining scene - together with Comme Chez Soi of course. Yves Mattagne's cuisine displays real craftsmanship; a modern approach to cooking fish is combined with a dedication to getting the best produce he can find. This results in classically based dishes, with balanced flavours and textures, intricate details and modern twists, served in a creative manner. At first glance, the luxurious dining room comes across as joyless, but the exceptional service more than made up for that. The champagne was served from magnum - a nice touch and very much in keeping with the cosmopolitan setting. 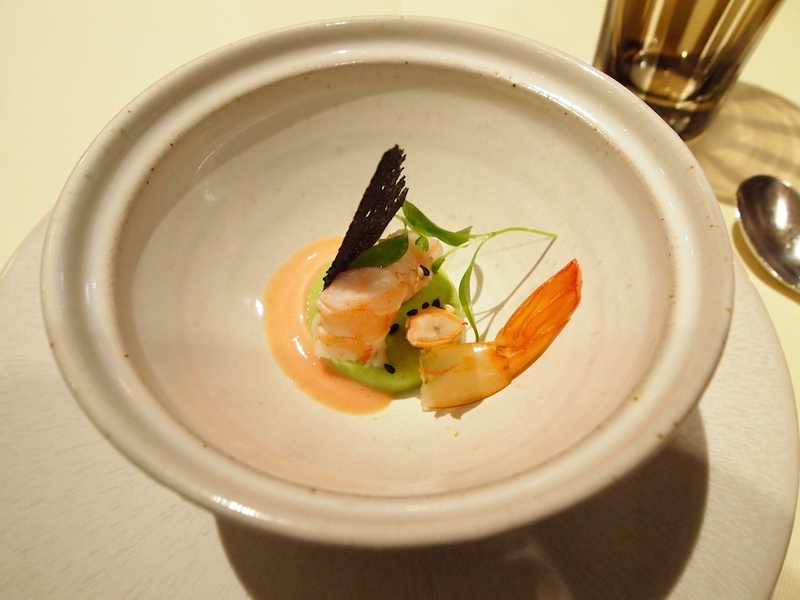 I will certainly return here, if only for the rare experience of lobster � la presse.